Fairphone’s second smartphone will not only be built using conflict-free or fair trade minerals, but also offer better performance and be really easy to repair. After selling 60,000 units of its first phone, the Dutch company is now turning its attention to a new model that will go on sale in the latter half of the year. With the second phone, the goal is still to manufacture a smartphone that doesn’t use minerals from conflict zones, is recyclable and is made by workers who are treated well. Fairphone is also aiming to make product longevity a development goal. The longer a device lasts, the less waste it creates and the fewer resources it requires, founder and CEO Bas Van Abel said in a blog post. Part of that effort will be to develop a higher-end LTE smartphone that remains competitive longer, according to Abel. The company’s first model is powered by quad-core processor from MediaTek and has a 4.5-inch, 540x960 pixel screen. Beyond adding LTE, Fairphone didn’t say what improvements the new model will offer, but a 5-inch screen and at least 1080x1920 pixels is reasonable to expect. If the company wants to stick with MediaTek, it can choose from two 64-bit octa-core processors. Fairphone also wants to build a phone that easier to repair. The first model got a 7 out of 10 score in a teardown review on repair website iFixit. Positive attributes included that it’s easy to open up the device and access the components. However, the glass is fused to both the display and the display frame, which increases repair costs, so that should be changed on the new model. In general, today’s high-end smartphones are a mixed bag when it comes to ease of repair. Apple has a reputation for building devices that are difficult to fix, but the iPhone 6 and 6 Plus also got a 7 out of 10 score on iFixit. The company still uses proprietary Pentalobe screws, and it doesn’t share repair information with independent repair shops or consumers. But the display assembly comes out easily and the battery is also easy to access. 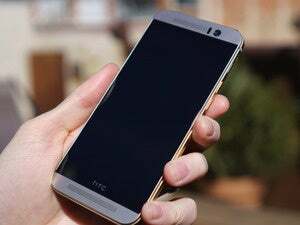 On the other side of the spectrum there are products like the HTC One M8, which only got 2 out of 10 for its repairability. The device is very difficult to open up, has a battery that’s buried beneath the motherboard, and the display assembly can’t be replaced without tunneling through the entire phone. Fairphone is hoping to boost sales with improved specifications and repairability. Its goal is to sell about 150,000 phones per year. That’s nowhere near as many devices as market leaders Apple and Samsung sell, but because Fairphone is a much smaller company it doesn’t have to sell a high volume of phones to survive. Fairphone isn’t the only company working to make smartphones last longer. The growing momentum behind modular devices promises to revolutionize how smartphones are built, by letting users design their own phones and upgrade the hardware without having to buy a whole new phone. Later this year, Google will roll out mobile stores where users can design, print and assemble their own custom handset based on the Ara platform. The Ara architecture uses an endoskeleton, which is the structural frame and data backbone of the device. Users can attach different modules to it depending on variables such as which processor or camera they want. Finnish startup Puzzlephone is also working on a modular platform of its own. Turning this vision into a viable business will be a struggle, but if the goal is to build long-lasting smartphones it may be the best option.